RIB-IVG (Radio Programming Interface.See below for update to programming interface. The Motorola GM300 can be re-programmed quite easily to allow use on our Amateur Radio bands. The radio is made in both a VHF and UHF versions, and makes an excellent 2mtr or 70cms mobile/base station radio. Most of the radio's I have worked on have originally been 8 channel units. These can be modified to operate on 16 channels quite easily. 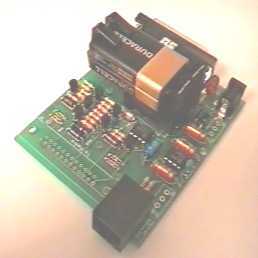 The programming interface can be made for a low cost. All it consists of is a RS232 to TTL level converter, that connects between the serial port of your PC and the radio's microphone socket. The radio requires the Motorola Software which can be found if you ask around or search for it on the FTP sites on the Internet. If you can't find it then try your local Motorola dealer who should be able to help at a small cost. You also have to make an interface, or purchase one. To program the radio onto the Amateur band, you can find some versions of software that have been hacked into allowing frequencies to be entered to bring the radio into the amateur bands which normally are just bellow the original working frequency. However this depends on your version of software, if it's a un-hacked version then you have to press the <SHIFT> key down when entering the frequency. You must release the <SHIFT> key when entering the decimal point. For example to program 433.500MHz you will enter the following: $££.%)) on a English layout keyboard. (This is 433.500 with the <SHIFT> held down. Fill all of the 0's in the frequency field. This example is the same for both the VHF and UHF GM300's. The file you need to modify is called GM300.MDF and can be found in the main directory of the Motorola software. Keep a backup of your original GM300.MDF file, just in case you make a mistake. I have made a small video that shows the Hex Workshop screen during the modification. This should help you understand the procedure of editing the file which when complete will give you 16 channels. Click below to download. Start the Hex Workshop program and open the file GP300.MDF to begin editing. Go to "Tools", and the "Generate Checksum". Make sure "Entire Document" and also "Decimal" are ticked. Then press "Generate". Write this number down, as you need it later. Press "Cancel" to return to the main window and your next step. Go to "Edit" and then "Find". A pop-up window appears. You need to enter the model number of your radio. For e.g. M34GMC00D3AA. When you enter the model number leave off the last two letters(AB on my radio).Make sure "ASCII" is ticked. When you press "Find Next", you will see your model number highlighted. If you count 8 numbers after the highlighted section, you should see the number "08" as long your radio is originally a 8 channel set. Edit the "08" to "10" (note 10 in Hex is equal to 16 in decimal). You now need to edit the start of the program, to allow the software to run. In the first few lines look for a Hex number that you can easily take away 8 from. In my software at address 00000040 you will see the number "78" on the right. Edit this to be "70". Now you must do a final checksum and make sure it equals the original value. If this is the same, then replace you original file with the modified file. Try to reprogram your radio with the extra 8 channels to give you 16 channels. If you have problems E-Mail me, and I will try to help. 73 de Colin (G1IVG). Please don't ask me for a copy of the Motorola Software. RIB-IVG (Programming Interface MkIII) by G1IVG. (with special thanks to Roberto EB4EQA for supplying the drawings below). 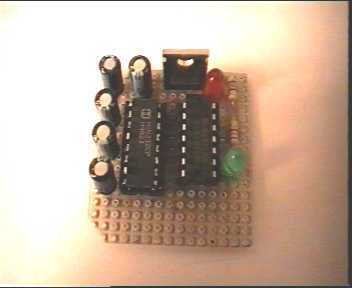 In order to build the interface described below, you will at least require some basic electronics experience. If you don't understand, how the described circuitry works, it's best not to build it. Although the described procedure is relatively simple, you could cause serious problems to both your PC and your Motorola radio. So please build the interface and use it at your own risk. Pay attention to the polarity of the capacitors these are marked with a + in the diagram next to each capacitor. 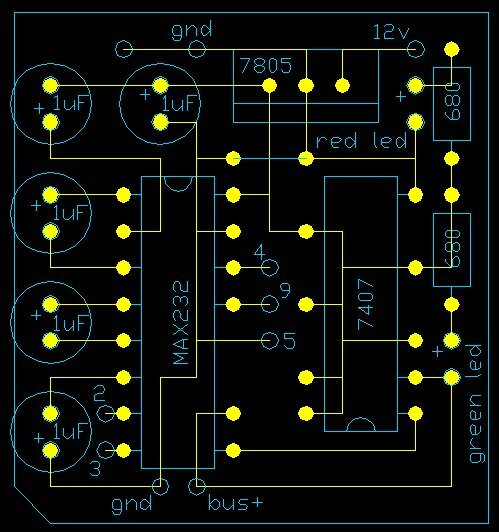 You will find that in some cases the capacitors appear to be the wrong way around, however this is not the case, as they must be configured this way to generate the correct voltages within the MAX232. In the interface drawing above you will see the numbers 2,3,4,5 & 9. These numbers represent the 9pin serial port found on most PC's today. If you only have a 25pin serial port then see below for the pin-out translation. 9 pin to 25 pin conversion information. Radio Connection (GM300 & GM350). To connect to your GM300, all you have to do is connect your interface to the front MIC socket on the radio. See the information below for connection details. Maxtrac 840 - 800 MHz Truncking Radio (Try http://www.batlabs.com for connections). Maxtrac 300, VHF 16 ch. Circuit Diagram For the GM300. 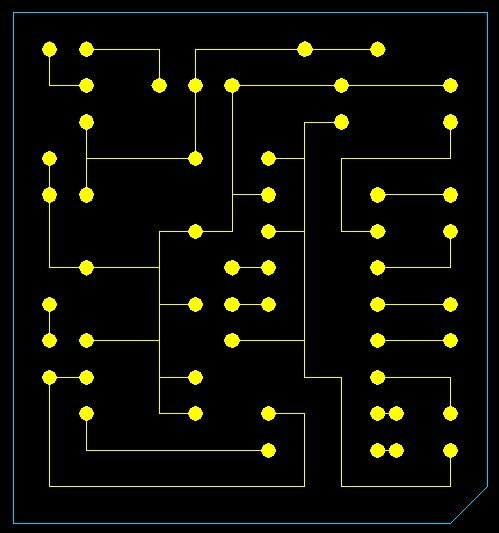 Sandy Ganz's RIB Card PCB. You can buy the RIB Card PCB direct from Sany Ganz in the form of a bare PCB. It cost me $20 plus $5 Overseas shipping. For further detailed information you can e-mail Sandy on the following address : motradio@pacbell.net All you need to do is purchase the components locally. Sandy also includes a parts list and information on a supplier for the components if you can't find them locally. 73 de Colin in Barcelona Spain.